The sponsorship options below are reflective of our current needs. 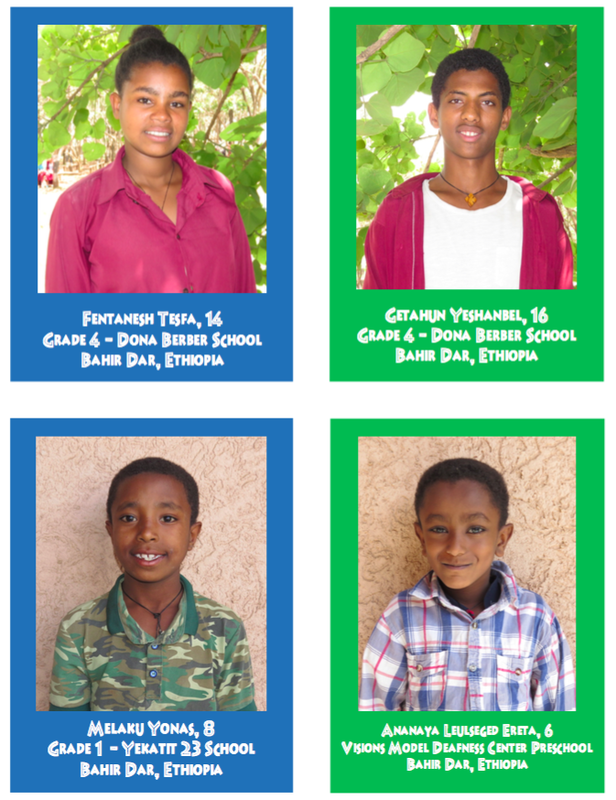 By becoming a sponsor for any of the individual students or programs listed below, you will be helping to ensure the continuation of our education support services that can make all the difference to a child or community. In return, you will receive 1) a tax receipt for your donation, 2) periodic updates from or about your specific sponsored student or community, and 3) updates about the program in general twice per year. When making your selection you may either chose a particular student or program to support, or simply allow us to assign one to you at random. While we are looking for monthly sponsors in particular, we would certainly welcome any one-time gifts made through our Donate Page as well. As our work is only possible through your generous giving, we thank you in advance for your support and your belief in the transformative power of education! Since 2012, Visions has worked with local partners and staff in serving the Deaf community through outreach at 4 local public schools that serve Deaf students and various community outreach activities. 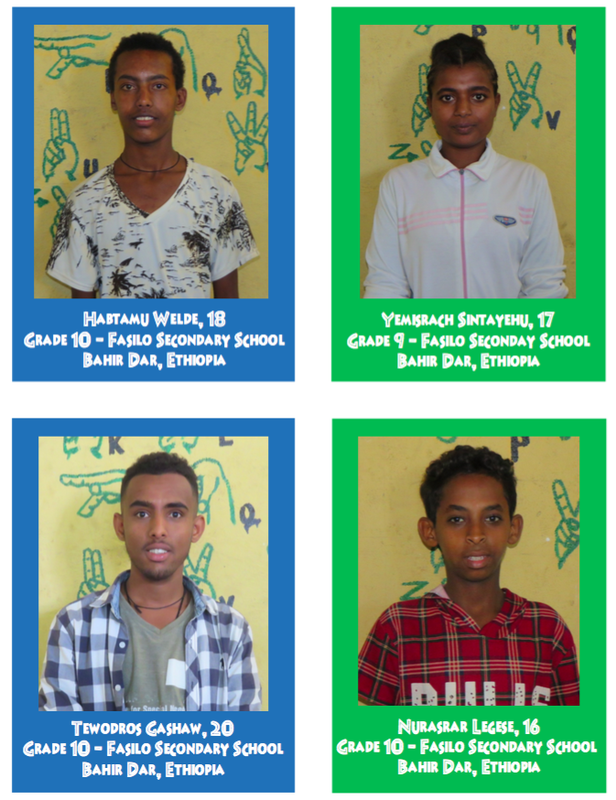 We provide regular services in education, language development (especially Ethiopian Sign Language), interpreting, jobs training / livelihoods development, access to information & services, mentorship, early childhood education, public education & awareness-raising, and connection with other Deaf communities & the larger outside world. In the past, we have also offered audiological support to a few hundred individuals (youth, adults and seniors), including hearing testing & counseling, provisions of hearing aids & batteries, regular check-ups and introductory listening & speech-language development support. 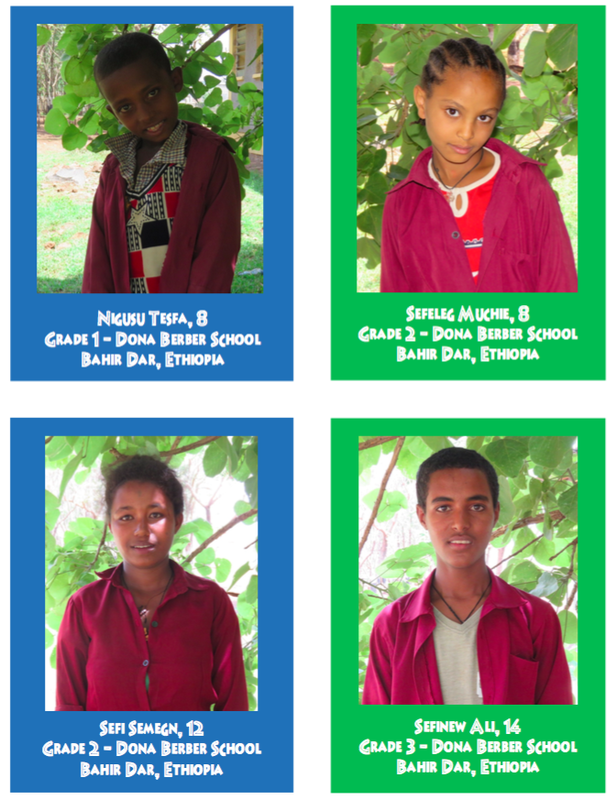 By sponsoring one or more of the 85 youth in our network, you will be contributing to the ongoing work we do in giving these young people access to the above-mentioned services. For just $25/month (or $300/year) you can help us ensure these support services continue. If you have a specific student(s) you would like to sponsor, please make a note of it in the memo section of the donation form. Otherwise we will assign you a student at random and give you periodic updates throughout the year. 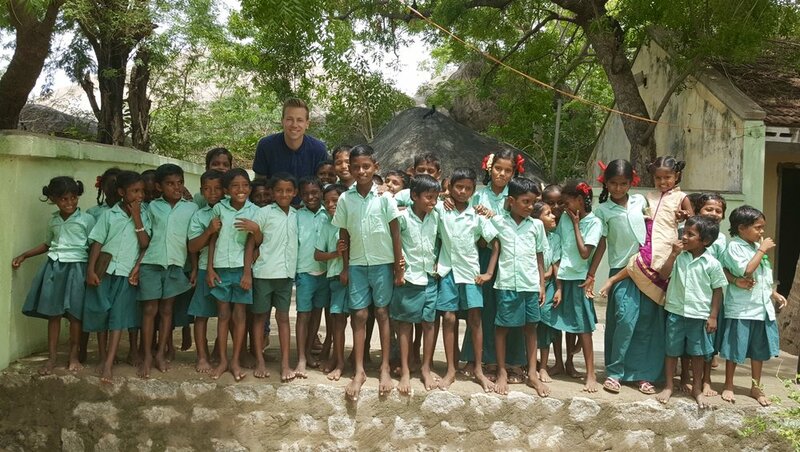 In rural villages across Tamil Nadu, India, Visions is currently serving several hundred youth through 12 Visions Youth Learning & Empowerment Centres (YLECs). The youth who attend these YLECs (girls and boys aged 6 – 17) hail from mostly rural dalit and other low caste communities, the vast majority of whom live in either poverty or extreme poverty and lack access to a quality education. Through Visions’ efforts, they receive daily after-school tutoring and mentorship on weekdays for 11 months out of the year by young adult “community workers” (one per village center) who are themselves from the communities they serve. These adult trainers also provide regular spoken English and leadership & life skills training (after being trained themselves by Visions staff), as well as periodic service opportunities to put their newfound skills and talents into practice for the benefit of others. Students and parents alike hold each other accountable in ensuring children regularly attend school and these after-school sessions. We recently introduced an e-learning component to 1 of our YLECs as well, which is now benefitting from tablet devices and self-paced digital learning content in English and Mathematics. In the year ahead, we hope to bring this tech literacy program to all our other YLECs as well. This program is also a feeder program for our Youth Guidance & Support Program, which helps youth from these communities to explore, vet and access higher education opportunities (for which we currently have 24 young adults now on scholarship). By sponsoring a YLEC, you would be enabling regular learning opportunities and helping to provide a safe and friendly environment for youth to learn, interact, and study. The figure of $100/month (or $1,200/year) is the entire cost of operating 1 YLEC. If becoming a monthly sponsor is beyond your giving capacity, you could also choose to sponsor a YLEC for a specific # of months. Employment in Jaffna remains a top priority in the post-war context of today. In response, Visions a new internship initiative called ‘BLOOM’ to support skills development that will enable youth to participate in training programs and get placed in paid internships, ideally leading to full-time employment. In partnership with Vetri-Holdings, a Northern CA technology company, Visions has so far supported 5 A/L completers in Jaffna with 6-month paid internships. Two students are now full-time employees of Vetri-Holdings based in Colombo, and one received a scholarship for the 6-month Accelerator program for coding conducted by Uki. The BLOOM program was initiated in commemoration of Vasundra Pathmarajah, mother of Visions Founder Meera Pathmarajah, and a consistent champion and supporter of Visions in general. Our goal is to secure spots for at least another 4 interns this year. As donors step forward, we will select amongst the qualified candidates and inform their respective sponsors. The cost for sponsoring each 6-month internship is $200/month (or $1,200 total). If becoming a monthly sponsor is beyond your giving capacity, you could also choose to sponsor an intern for a specific # of months. Help keep us going strong! ANY AMOUNT (One-time or recurring)! As a small nonprofit organization that relies entirely on private donations, we strive to keep our overhead (ie: administrative and fundraising expenses) to a minimum. Having just 1 U.S. employee to operate the organization helps us to realize this goal in particular. In 2016, we spent just 5.6% of our total budget on these expenses, and in 2017, we spent just 7.5% of our total budget. However, no organization can run without an operating budget to cover such expenses as postage, website, office supplies, travel, banking fees, legal & financial fees, etc. We realize that this is something that likely only appeals to those who understand and/or appreciate the inner workings of any nonprofit, which is why we are calling those who support our organizational operations as a whole “ANGEL DONORS.” Your one-time or recurring gift of any amount to help keep us going strong would be IMMENSELY appreciated by our team, especially our (only) 1 U.S. staff who spends much of the year on the road visiting our projects, conducting trainings, collaborating with local staff & partner organizations, and more. THANK YOU! Together we can move mountains!